PALS Provider Course is organized by Ballad Health and will be held from Apr 23 - 24, 2019 at MSHA AHA Training Center, Johnson City, Tennessee, United States of America. The target audience for this medical event is healthcare providers who either direct or participate in the resuscitation of pediatric patients, whether in the hospital or pre-hospital setting. This CME Conference has been approved for a maximum of 10.5 AMA PRA Category 1 Credits. Concepts covered include: • Identification and treatment of medical conditions that place a pediatric patient at risk for respiratory/cardiac arrest. • Basic Life Support for Children and Infants. • Recognition and Management of Respiratory Emergencies. • Intra-Osseous Access. • Cardiac Rhythm Disturbances. • Initial Impression, Primary, Secondary and Diagnostic Tests Assessments using the “Evaluate, Identify, Intervene” model. • PALS Algorithms. • Effective resuscitation team dynamics. Course Objectives: • A current American Heart Association Provider Card. • A current PALS Provider manual. • A Pretest score of a minimum of 84%. NOTE: If you do not have both the pre-course assessment and the current PALS manual you WILL NOT be admitted to class and will be asked to reschedule. Additional details will be posted as soon as they are available. 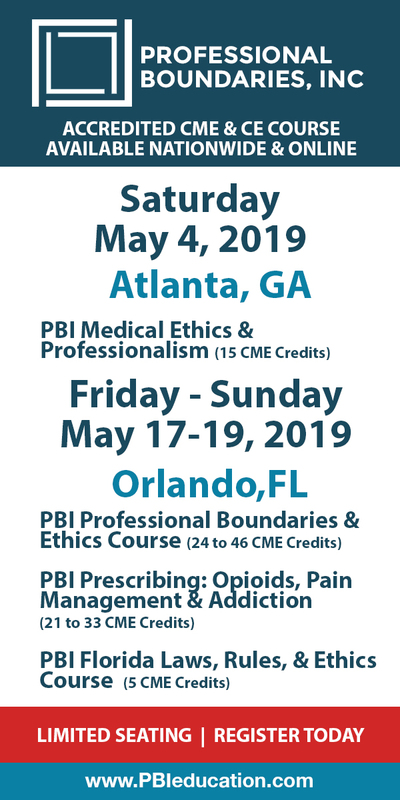 Certified Clinical Trauma Professional: Two-Day Trauma Competency Conference is organized by PESI HealthCare and will be held from Apr 25 - 26, 2019 at Hilton Brentwood/Nashville Suites, Brentwood, Tennessee, United States of America. This CME Conference has been approved for a maximum of 12.5 credits. Target Audience: • Counselors • Social Workers • Psychologists • Case Managers • Addiction Counselors • Therapists • Marriage & Family Therapists • Nurses • Other Mental Health Professionals Course Description: The successful resolution of traumatic stress can be simple. Studies indicate that there are four key elements to effective trauma treatment. When you accomplish these four key elements in treatment with your clients, you will be able to reduce their symptoms and improve clinical outcomes. Attend this conference and you will walk away with a step-by-step four-stage framework for navigating essential elements of trauma treatment with your traumatized clients. The essential elements are common to all evidence-based trauma treatments, you will learn how you can integrate this framework with your current approach or methodology to make your trauma treatment even more effective! This trauma competency training can transform your clinical practice and help improve your trauma treatment outcomes, just as it has for other clinicians around the world. Course Objectives: • Examine the nature of traumatic stress, grief, & loss and their sequelae. • Analyze the clinical application of various theoretical treatment models for traumatic stress, grief & loss. • Evaluate traumatic stress, grief & loss from biochemical, psychological, social & spiritual perspectives in order to improve clinical outcomes. • Examine the clinical research that supports the imperative factors that influence the efficacy of trauma treatment. • Assess the comorbidity of traumatic stress in other diagnoses, including personality disorders and Dissociative Identity Disorder, and identify appropriate treatment Interventions. • Provide psychoeducation and cognitive restructuring techniques for maximizing client engagement and participation in early stages of treatment. • Determine the efficacy of self-regulation skills as a preliminary treatment intervention for trauma. • Articulate the 10 core competencies of traumatic stress, grief and loss and specify the clinical application of each. • Incorporate clinical interventions and techniques for the initial assessment, safety and stabilization phase of treatment as well as the remembrance and mourning phases of trauma treatment. • Examine the potential clinical limitations and benefits of completing a needs assessment for better progress in treatment. • Develop clinical skills to support and facilitate recovery from complicated bereavement in clients. • Incorporate CBT skills to promote the development of stability, self-efficacy, anxiety management, and relational capacities in traumatized clients. Additional details will be posted as soon as they are available. 2019 American College of Obstetricians and Gynecologists (ACOG) Annual Meeting is organized by American College of Obstetricians and Gynecologists (ACOG) and will be held during May 03 - 06, 2019 at Nashville, Tennessee, United States of America. Conference Description: • Benign Gynecologic Disease • Business of Medicine • Cancer Screening • Family Planning • Genetics • Global Health • Infectious Diseases • Innovation/Technology • Menopause • Labor and Delivery • Obesity • Pain Management • Patient safety • Reproductive Health/Fertility • Sexual Health • Surgery/Surgical care • Unltrasound • Wellness • Women’s Well-Being • More Additional details will be posted as soon as they are available. A Team Approach to Delivering Kois-Inspired Dental Care is organized by Kois Center, LLC and will be held from May 03 - 04, 2019 at Gaylord Opryland Resort & Convention Center, Nashville, Tennessee, United States of America. This CME Conference has been approved for a maximum of 13 credits Hours. This two-day course will engage the doctor and the entire dental team in understanding the concepts of Risk Assessment, which are taught at the Kois Center. The team will learn the concept of “Going from Red to Green” as they work through the specifics of the Diagnostic Opinion. Students will interact with one another while discovering the information through multiple case-based examples. Establishing or refining the team’s understanding of “WHAT” specifically is involved in a Risk Assessment, “WHY” these concepts are crucial and “HOW” to systematically and efficiently conduct this exam, helps the team to better communicate these concepts to the patient and link them to the proposed treatment that is being recommended. Course Objectives: • Inspire you to work together as a cohesive team • Initiate, perpetuate and deepen your understanding of the Kois philosophy for your practice. • Learn to comprehensively evaluate each patient through simplified, systematic documentation. • Refine your ability to discuss concepts of dental risk with your own patients. • Formulate an action plan for implementation of efficient protocols in your own office. Additional details will be posted as soon as they are available. 2019 Annual Conference is organized by American Hair Loss Council (AHLC) and will be held from May 04 - 06, 2019 at Nashville Airport Marriott, Nashville, Tennessee, United States of America. Additional details will be posted as soon as they are available. American Society of PeriAnesthesia Nurses (ASPAN) National Conference 2019 is organized by American Society of PeriAnesthesia Nurses (ASPAN) and would be held during May 5 - 9, 2019 at Nashville, Tennessee, United States Of America. 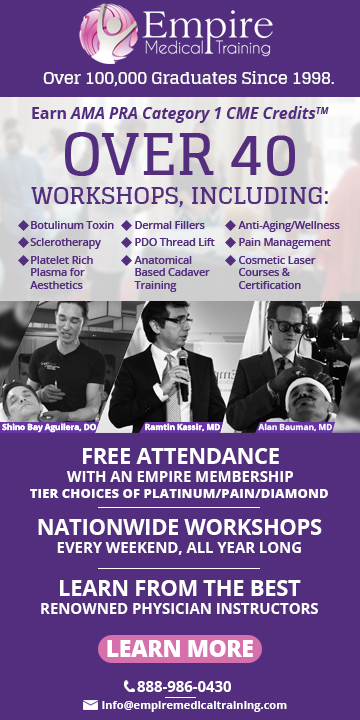 The targeted audience for this medical event basically for Physicians, Anesthesiologists.